The efficent solution to test multiple samples. The fast and reliable solution for on-site gmo detection. Today, 79% of the world’s soybean production is achieved with genetically modified (GM) soy and 32% in the case of maize. 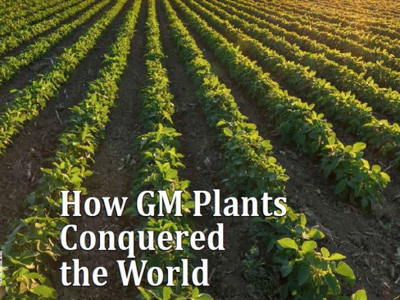 The worldwide cultivation of GM plants increases every year by millions of hectares. 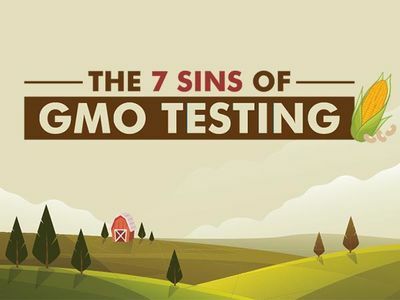 With that comes the need for reliable and efficient GMO screening. Romer Labs offers an extensive portfolio of immunoassays for sensitive, easy and quick GMO detection. With over 60 test kits, it is possible to detect 16 different traits that occur in corn, soybean, canola, cotton, sugarbeet, alfalfa and rice in various combinations. The AgraStrip® test kits are ready-to-use lateral flow devices (LFD) for on-site testing. These allow a rapid analysis of a wide range of commodities within only 6 minutes (including extraction). The test kits are available in a qualitative or quantitative format. While qualitative LFDs can be read visually, quantitative tests are used with the AgraVision™ reader, to provide objective results and secure a consistent results documentation. Results are displayed in quantitative ranges (i.e. <0.5% trait, 0.5 – 1.0% trait, 1.0 -5.0% trait, >5% trait). AgraStrip® Combs have been developed to enable a high throughput and screening analysis. For high throughput analysis, 8 identical strips are combined to maximize efficiency. For screening analysis, 4 or 7 different strips are combined on a multi-trait comb with a common extraction procedure. Multi-trait combs are available in quantitative and qualitative formats. TraitChek kits are designed to test bulk grain, single seed, and/or leaf tissue. The kits come complete with strips, microtubes, transfer pipettes (for bulk grain kits), weigh papers (for seed/leaf kits), and leaf stirrers (for seed/leaf kits). AgraQuant® GMO test kits are accurate and reliable enzyme-linked immunosorbent assays (ELISA) available in qualitative and quantitative formats. Together with a StatFax® or BioTek® ELISA reader, results can be directly interpreted and continuously documented. AgraQuant® GMO kits are double antibody sandwich ELISAs and use specific antibody coated microwells and an enzyme-labeled analyte conjugate. GMOChek™ kits are for quantitative bulk grain testing. The kits come complete with 1 breakaway plate (12 strips of wells) and transfer pipettes.